Those who think the continuing movement to change the name of the local pro football team is a waste of time and trivial were clearly not at the recent Art All Night event here in the District. Secreted in one corner of the venue was local Indigenous artist Gregg Deal. 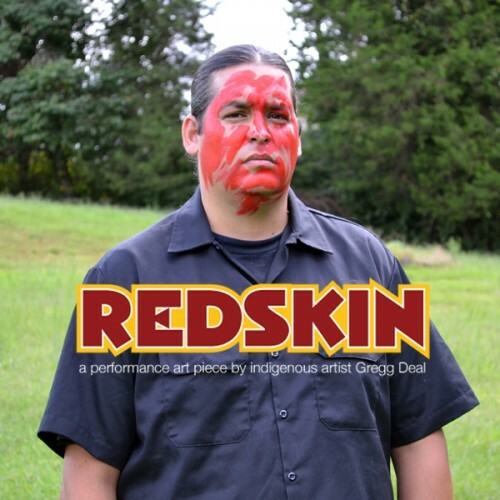 His project, “Redskin,” took on the racial overtones of the team moniker and projected it at his audience. What he, nor spectators or his helpers predicted was just how pointed it ended up being. 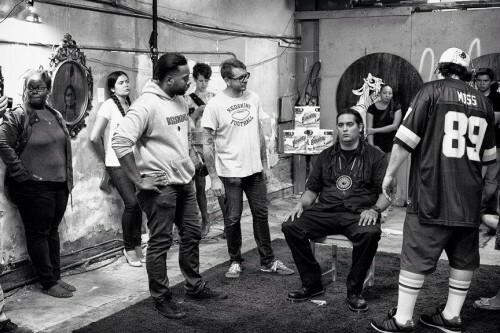 Both Houska and Deal were also participants in the recent Daily Show segment that showed a panel of team fans and a panel of Indigenous people who, after separate discussions, confronted each other through the show’s direction. The segment has had mixed reaction in the press, with a lot of sympathy generated for the four white fans (who all self-identified as some fraction of various tribes, but with no real knowledge of their heritage – or, in one case, how generational fractions work). The incidents taped at FedEx field later between some of the Native panelists (specifically, the 1491s) and fans weren’t shown, which is unfortunate. 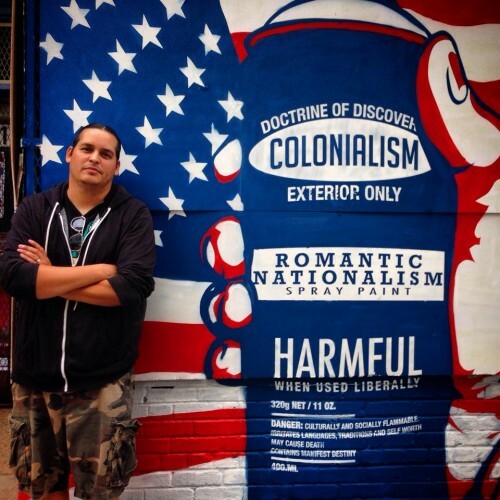 For more information on the name change social media movement, visit Eradicating Offensive Native Mascotry, Not Your Mascots, or follow the #changethename hashtag on Twitter. The name change debate continues to rage in the area. Every day, it seems, someone else stands up and says the obvious – the name is racist, needs to go. And every day, the Washington football team’s PR generator tries to deflect the issue, spouting words of “honor” and “respect” without realizing what those actually mean. In the wings, however, are those who have already resolved the debate in their minds and are moving forward into the next step. People like Brian Thurber, founder of DskinDC.org. 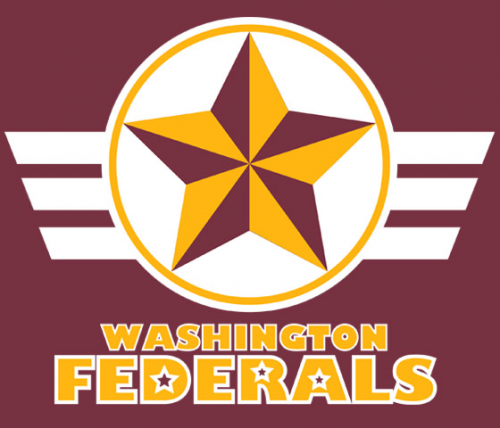 “The site is a referendum on what the next name and logo should be,” says Thurber, who goes by @DskinDC on Twitter. “As more logos come in and more people vote, one or two names and logos may rise to the top. 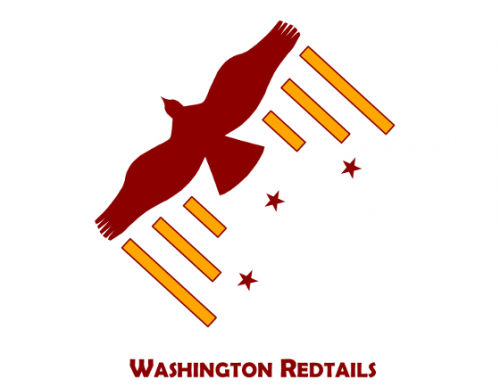 For example, Redtails is a clear early favorite for the team name.” Thurber hopes that when people start wearing these fan-made designs to games, it will hopefully spark conversations about the current name and what the new name should be. The American Psychological Association stated almost a decade ago that Native American stereotypes that are depicted in mascotry and monikers hurt Natives and non-Natives alike. More recently, the Center for American Progress released a report that showed the detrimental effects of these stereotypes on Native youth, including high rates of suicide, poor graduation rates, and low self esteem. Thurber made it clear, though, that this is not about abolishing the franchise of DC football. “We’ll always have a football team we love,” he says. “Two weeks ago on ESPN First Take, Chris Cooley said we shouldn’t change the name because if we do then we’re admitting that we’ve been insensitive or even racist. That’s just not how life works. When people make a positive change, no one attacks them for it. People applaud it. For almost my whole life I referred to the team as the ‘Redskins,’ and I certainly don’t look back and think I’m a bad person. “I know fans who like the name don’t mean any harm, but there’s something very real at stake that needs to be taken seriously. Vague notions of ‘history’ or ‘tradition’ aren’t going to cut it. If we always stuck with what we did in the past, this country would never have faced up, for example, to the impact of Jim Crow laws. With DskinDC.org, Thurber hopes to provide one avenue to take towards that improvement. 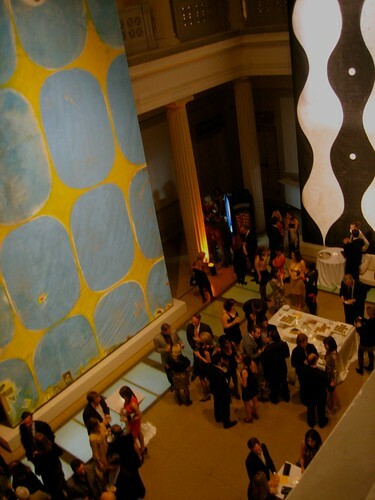 On November 19th, Gaia will make a triumphant return to the Corcoran after a sold-out party held there over the summer. This evening of music, visual and performance art – even a bit of magic – is sure to please anybody looking for an arty alternative to the usual nightclub experience. For one night, the D.C.-based Gaia collective of DJs, musicians, artists, dancers, and more will take over the Corcoran space to create an interactive, multimedia experience which actively engages with the visual art on display in the gallery and the architecture of the building itself. 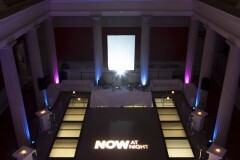 On October 21st, the Corcoran Gallery of Art opened its doors for the second annual NOW At Night. Organized by the museum’s Contemporaries committee to support emerging and mid-career contemporary artists, many of the most bold-face names of Washington’s art and culture worlds were in attendance. This Friday night, you will want to put on a suit or party dress and head over to the Corcoran Gallery of Art for NOW at Night. 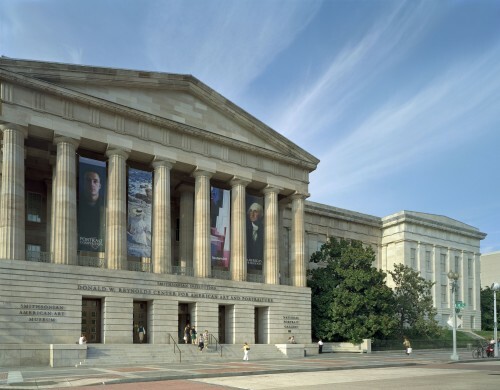 Presented by the Corcoran Contemporaries, a group of arts patrons with a particular interest in supporting contemporary art, NOW at Night benefits NOW at the Corcoran, the institution’s dedicated contemporary gallery. By no means an old-fashioned charity event, NOW at Night promises to be more of a chic, hip party. 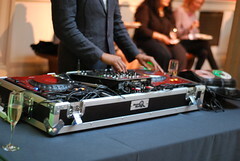 Remember our coverage of the gallery’s spring affair, ARTINI? For NOW at Night, however, instead of focusing on the elaborate cocktails, eyes will be on multimedia entertainment from the renowned Paul D. Miller, AKA DJ Spooky, a special viewing of 30 Americans, and a last chance to catch the current NOW exhibition, Chris Martin: Painting Big before it closes. Tickets are still available and are for sale on the Corcoran’s website through Wednesday, October 19. Advance purchase is required – tickets will not be available at the door. Now, go order tickets and start thinking about what you are going to wear! Kehinde Wiley, Sleep, 2008. Oil on canvas, 132 x 300 inches. Courtesy of Rubell Family Collection, Miami. 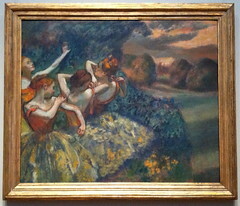 At Tuesday night’s preview of 30 Americans, a representative of the Corcoran told the story of how, in 1940, a young, female, African-American artist secretly entered a contest held by the gallery, sending a white friend to drop off the painting because she feared she would not be allowed past the building’s grand front stairs because of the color of her skin. Lois Mailou Jones won the contest and had the prize mailed to her so she would never have to show her face. Seventy-one years later, Ms. Jones’ painting is held in the Corcoran’s permanent collection and the gallery is hosting a powerful exhibit of contemporary African-American artists which has already generated tremendous excitement in advance of the October 1st public opening. One of the most-anticipated openings hitting the walls of DC galleries (in a season that is proving to be crowded with buzzed-over exhibits), 30 Americans brings together three decades of influential African-American artists, both household name and lesser-known, in a variety of media. The principle by which they are organized is that all seventy-six works on display (by, in fact, thirty-one American artists) grapple with the concept of identity – particularly but not exclusively race – in modern American life. If you could take the premise Yasmina Reza’s “Art” and turn it into an episode of Seinfeld, it would have been a classic. Jerry: George! Behold my latest acquisition! George: Never heard of him. Jerry: Well he’s a classic- and this painting will be as well! I got it at such a steal! Jerry: $200,000. What do you think? George: I am speechless. I am without speech. 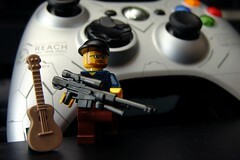 The Smithsonian American Art Museum is inviting the public to help select the video games that will be included in its upcoming exhibition “The Art of Video Games,” which opens in Washington, DC on March 16, 2012. Voting is taking place online beginning today and running through April 7. A valid e-mail address is the only requirement to vote. The exhibition is the first to explore the 40-year evolution of video games as an artistic medium, with a focus on striking visual effects and the creative use of new technologies. Chris Melissinos, founder of Past Pixels and collector of video games and gaming systems, is the curator of the exhibition. No doubt you’ve heard by now that some Congressional Republicans have been making a fuss over a Portrait Gallery exhibition that deals with gay and lesbian identity in the arts. One installation has been removed already, and no word yet if additional works will be taken down from the exhibit. So if you’re into books, art, or both, this is just the ticket for you. Be sure to check out their events page for a schedule of all of the cool activities going on this weekend. Seeing any exhibit at the Sackler Gallery is an inspiring experience, but seeing Fiona Tan’s first major U.S. exhibition at the Sackler Gallery is just phenomenal. 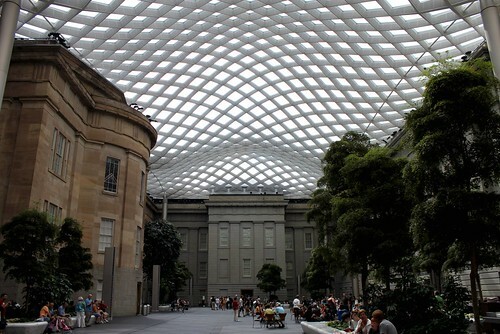 The renowned contemporary artist will be on view at the Sackler Gallery September 25 through January 16, 2011 with Fiona Tan: Rise and Fall. The artist will be showing a collection of video and photography, “exploring the individual’s place in a world increasingly shaped by global culture”. 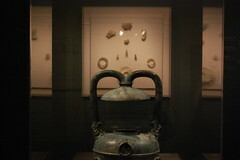 The Arthur M. Sackler Gallery is located at 1050 Independence Ave, SW. For more information contact 202-633-1000. Admission is free. I always need an afternoon pick me up. Some days it comes in the form of dark chocolate, but today it is all about this video. NOW at the Corcoran’s inaugural exhibition presents new work by Spencer Finch. This video gives you a peek into Finch’s magical world of perception and sensation. Some trippy (and fascinating) stuff if you ask me. 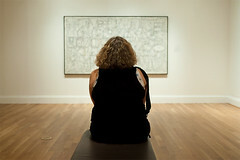 The exhibit will be on display at the Corcoran Gallery of Art through January 23, 2011. So now that the tourists are (mostly) gone, time to get out and hit our various museums and their great programs and exhibitions! There’s a lot going on this month at the Smithsonian American Art Museum (SAAM) and we’re going to run down the list for you. Programs are free and open to the public unless otherwise indicated; the SAAM is located in Penn Quarter at 8th and G Streets, NW. Note that some programs are at the Renwick Gallery at 17th and Pennsylvania and are noted accordingly. Artists Kathy Vargas, María Martínez-Cañas, and Martina López discuss the intersection of Latino culture and gender identity in their work. Moderated by Muriel Hasbun, associate professor of fine art photography at the Corcoran College of Art + Design. No tickets required; seating available in McEvoy Auditorium on a first-come, first-served basis. Travel throughout the galleries to find interactive carts where kids can handle brushes, palettes, bison hide, bottle caps, and quilt squares. Ages 7-12. Pick up your Art à la Cart map and passport at information desks located in the F Street and G Street lobbies. You normally don’t here the terms extreme sports and art in the same sentence, so I was quite intrigued when I heard about Jason Wright’s show called Take You Home – on display at Gallery Plan B. You see, Wright lives the dual-lifestyle of professional skydiver (check out the video below) and knife painter, effortlessly swooping in-and-out of each role, and drawing inspiration from these experiences in order to bring something fresh to the art scene. 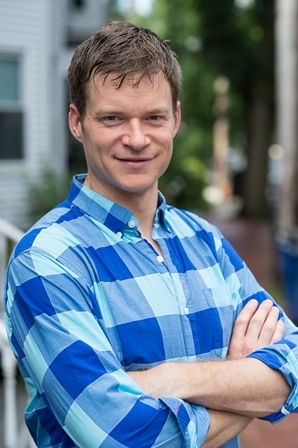 In this interview, Wright talks with WLDC about his work, his passion for life, and what it is like to live in D.C. every summer. We Love DC: How did you get to be where you are today? Artist and professional athlete isn’t the most common title to have. Jason Wright: I grew up in Hawaii, and Hawaii is still home for me. While living there I was completely immersed in that culture, skateboarding and surfing all the time. It was at this point that art fused with me and I began illustrating for skateboards. In that kind of art culture you also get to experience things like music (I was in multiple bands) and even the culinary arts (I wanted to be a chef at one point), the art world is very friendly and was a perfect fit for my free spirited type of personality. I always followed my own path in life and let my passion lead the way. 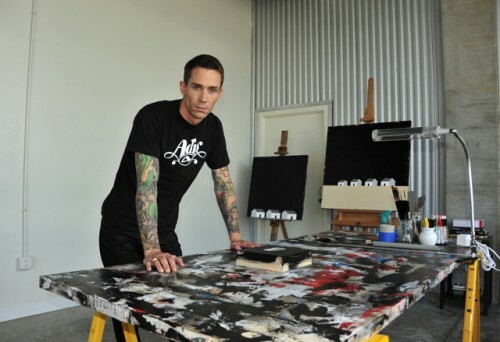 Next, I ventured into snowboarding and because of injury it was taken away from me, but all of the traveling I got to do at the professional level was good for inspiration – meeting different people and attending different galleries. In less than four years, Michelle Guest has turned her passion for art and jewelry design into a thriving business. MIJA Jewelry is literally everywhere, and has graced the pages of almost every fashion magazine and tabloid – decorating a truly A-list clientele (Gwenyth Paltrow and Ellen Pompeo are huge fans). In this We Love DC exclusive interview, the designer and Glover Park resident lets us know a little bit more about what makes her collection special and where she goes to find inspiration in her very own backyard. We Love DC: What is MIJA? Michelle Guest: MIJA is a combination of the first two letters of my name (MIchelle) and the first two letters of my sister’s name (JAni). My sister was the one who really inspired me to start the business by creating a collection of children’s jewelry. 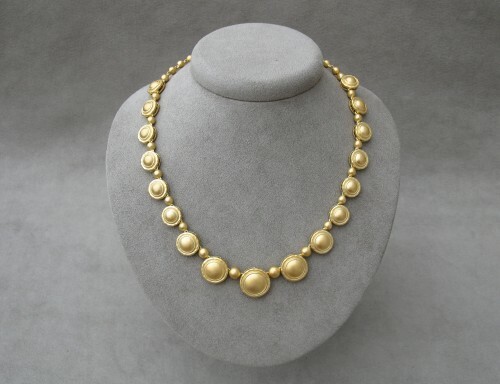 The company has since expanded and now also features a huge collection [of] women’s jewelry. She really encouraged me to jump into a business I initially knew nothing about. If it was not for her, I’m not sure I would have ever done it! Win 2 Tickets to Phillips After 5! 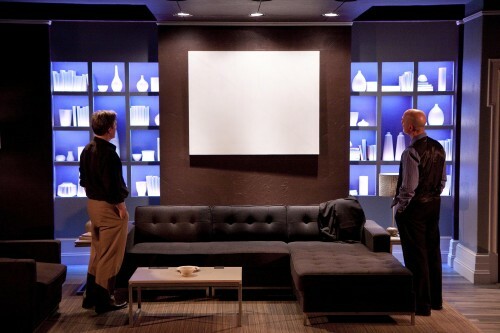 Looks like the Phillips Collection took my light criticism to heart last Friday because they have decided to hold a contest to see who can come up with the best alternative name for the Pousette-Dart exhibit – which is currently titled, Predominantly White Paintings. All you have to do is go to their Facebook Page and submit something exciting, alluring, or at least, improved. Two tickets to Phillips After 5 this Thursday will be awarded to the winner. 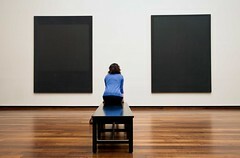 Through their work, artists are able to convey and share their most personal thoughts and feelings with the public. And the photography exhibit The Way We See It is the perfect example of young photographers doing just so. The non-profit AED’s Idea: Exchange is a new effort dedicated solely to promote dialogue and communication on social and developmental issues. AED is inaugurating the Idea: Exchange with the photography exhibit The Way We See It: Young Photographers Examine, Define and Change Their World, showcasing the work created by youth from D.C. and around the world who use the art of photography to “reveal their lives, speak out about social issues, and advocate for better public policies”. The exhibit will be open Wednesdays through Fridays, June 18th through September 3rd, from 2-7 PM. The Idea: Exchange is located at the corner of Connecticut Ave and T St, NW. Would you like to support local artists and a local charity all in one night? Sounds pretty awesome to me. The Art Registry is hosting an art exhibition and fundraiser to benefit Dress for Success on Thursday evening. The event will feature seven female artists (six are local) whose work will be up for sale at the event. Tickets can be purchased at the door for $20, and the cost include hours d’ oeuvres, wine, and of course, the opportunity to help a great cause. The artists to be featured are: Joey Manlapaz, Anne Marchand, Leah Matthews, Karen Smul, Sandy Wexler, Catherine White, and Shawn Yancy (Fox 5 News Anchor). The event will be on Thursday from 6-9 PM at the the Kimpton’s Hotel Palomar in Dupont. For more information call 703-798-8717.